At Bemis, the first priority in sharps container development is safety--safety for your patients and your staff. All units are designed for safe use, effectively blocking hand access from discarded sharps. Units snap together, permanently locking with tight seams between the bases and covers. Walls are puncture-resistant too, meeting or exceeding ASTM standards. For optimum efficiency, Bemis offers a variety of sharps disposal units so your staff can work with the size that fits the application, reducing overall hospital waste. 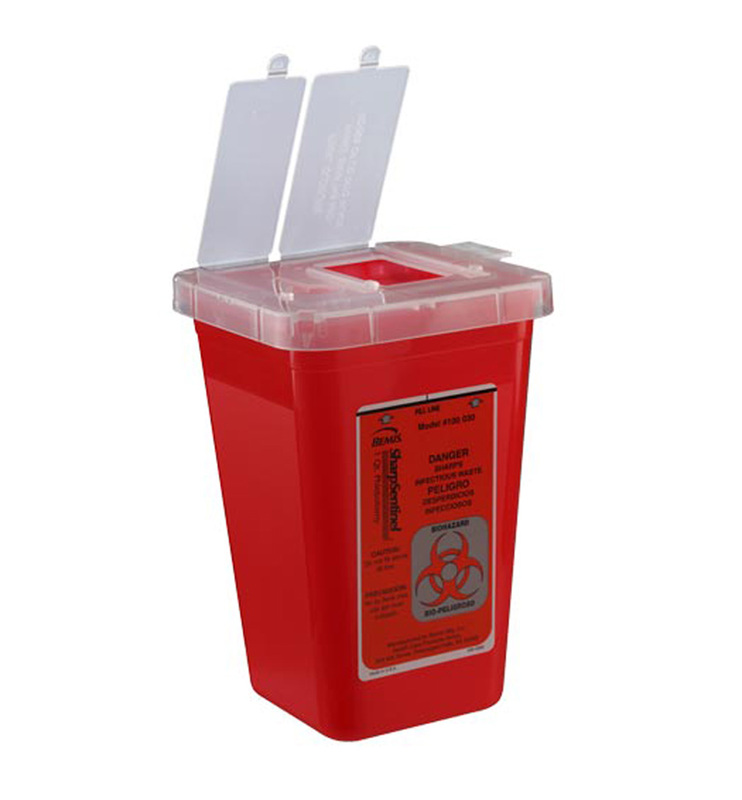 Bemis Sharps containers are designed to nest, saving money in shipping and storage too. Bemis Sharps Containers are designed for a range of ideal size-to-use applications. While some sharps containers require you to invest in an expensive locking cabinet, Bemis Sharps Containers offer unobtrusive mounting brackets to complement any patient or treatment room setting. Either type of mounting bracket allows for easy, safe changeover. Take advantage of a bulk discount (save $.23 per box) by ordering by the case instead of by the box (100 boxes per case).